Some researchers have claimed that leaky gut syndrome, or increased intestinal permeability, is implicated in dozens of diseases. The syndrome is caused by the wall of the small intestine being damaged. A healthy intestine allows only nutrients to pass into the bloodstream. When the intestine is damaged, larger molecules such as incompletely digested fats, proteins, starches, and even bacteria, also permeate the intestinal wall. The larger molecules, recognized by the body as foreign substances, can trigger an immune response in other organs. Some researchers believe that healing a leaky gut with a strict diet and nutritional supplements can help control conditions such as insomnia, obesity, bad breath, as well as a wide range of diseases, including asthma, eczema, and arthritis. Many researchers agree that the intestinal tract is a key player in the immune system, but whether or not the gut is the root of so many problems is still the subject of debate. The debate was brought to everyone's attention in popular media in 1997. 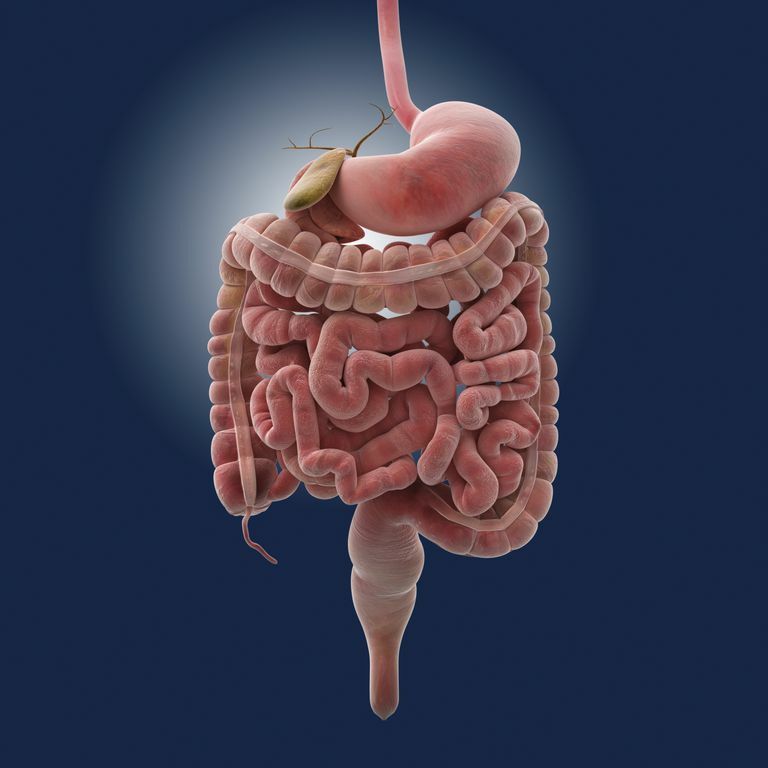 The small intestine is a convoluted, 25-foot tube between the stomach and the large intestine. Its lining is comprised of millions of villi, or finger-like structures, which in turn are covered with millions of microvilli. The villi and microvilli harbor bacteria and yeast, which normally maintain a healthy balance and help to carry out the main functions of the intestine, that is, to break down food into nutrients that the body can use and to move along waste and harmful substances to the bowel. Most of the potentially dangerous material a human encounters is in food, therefore the gut's immune function is crucial. Researchers estimate that more than two-thirds of all immune activity occurs in the gut. These problems can add up to a disorder that has no obvious relation to the original cause. Until a few decades ago, the theory was that unless a medical problem directly affected the gut, it worked normally. Physicians now know that trauma to other parts of the body may cause the gut to react. One researcher, Leo Galland M.D., estimated that leaky syndrome plays a role in 70% of people with chronic fatigue syndrome, eight out of 10 aspirin or ibuprofen users, most alcoholics, and anyone who is hospitalized. Galland also stated that parasites, which can lead to leaky gut syndrome, may lurk in most municipal water systems. How Is Leaky Gut Syndrome Treated? One common prescription for leaky gut syndrome is an elimination diet. A series of urine and blood tests is used to assess food allergies. Based on the results of the tests, whole categories of food, such as dairy products or wheat products, are eliminated and added back over time as the patient is monitored for reactions. Strict elimination diets should be used only under close medical supervision, otherwise malnutrition can result. The nutritional mainstay, fiber, may also play a role in healing problems of the gut. A National Institute of Health funded study from Louisiana State University indicated that rats who ate no fiber had abnormal intestinal linings. Other research showed that glutamine, a nonessential amino acid, also plays a role in maintaining the integrity of the intestinal wall. To conclude from available research that leaky gut syndrome is widespread, treatable, and the cause of all sorts of problems is a jump scientists and most doctors haven't made yet. It is recognized, though, that care and maintenance of the gut makes sense in any case. Leaky gut - concept or clinical entity? Quigley EM. Current Opinion in Gastroenterology. 2016 March. Gut barrier in health and disease: focus on childhood. European Review for Medical and Pharmacological Sciences. Viggiano D. 2015. Gut Reactions. Wendy Marston. Newsweek. 11/17/97.